Washington Irving (1783-1859) was already a famous writer and a rarity for the times, an American who wrote good English, when he made a mistake that was his bad and our good luck. He invested part of his fortune in some mines in South-America and lost heavily. He had been living in Europe for some years and had good connections. One of them was Alexander Hill Everett, the then U.S. Minister to the court of Ferdinand VII of Spain. In 1826 Everett extended an invitation to Irving to attach himself to the Legation in Madrid and gave him a rather pleasant assignment: he was to investigate the documents and books of the Embassy and translate and write on Spanish historical subjects, mainly related to the discovery of the Americas. This he did with gusto during the two most productive and happy years of his life. He published a biography of Christopher Columbus in 1828 and, a year later, a Chronicle of the Conquest of Grenada. Irving had written fiction and history before, not in the scientific mood of the late 19th century, but mixing fact and phantasy, very much in the romantic taste, relishing in tales of the Orient and the Middle-Ages. He was a life-long friend of Sir Walter Scott and with his rich cultural background our writer-diplomat travelled to Granada in 1829. 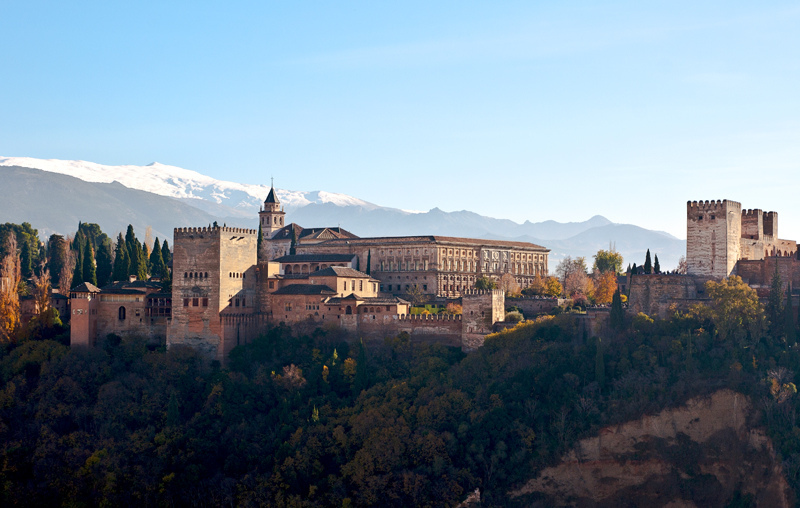 He lived for some time in the fabulous Alhambra, the royal palace of the last Moorish kingdom in Spain. The buildings that make up the palace were in a state of pitiful decay, inhabited by numerous “sons of the Alhambra” as he called them: beggars, gypsies, poor people who had inherited the Oriental taste for story-telling. The result was a delightful collection of tales published in 1832 under the title: The Alhambra. A Series of Tales and Sketches of the Moors and the Spaniards. The book included a long introduction in which the author narrates the arduous trip on horseback that took him to Granada across the mountains and valleys which surround the magical city. I was surprised to read how vivid the memory remained of the War of Independence against the French, and the complete anarchy and insecurity in which the country lived still fifteen years after it had ended. 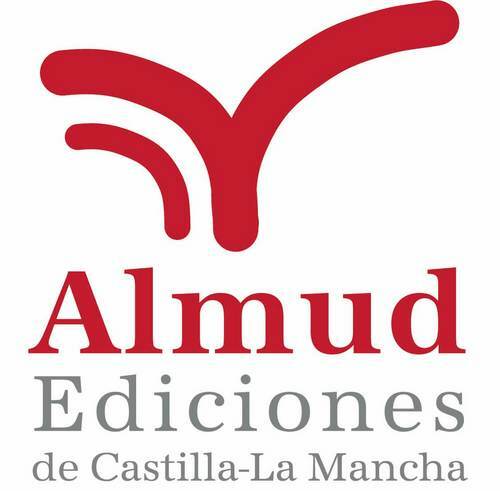 Even more surprising was how the “sons of the Alhambra” still lived with the Moorish heritage in their veins and their imaginations four centuries after their ancestors had been expelled from the Alhambra. Washington Irving still had time to write a history of the conquest of Mexico before he continued his travels and went back to his native New York City in triumph as the first bestselling American author. He later went back to Spain, appointed Ambassador of his country in 1842. He had a good life, he couldn’t complain and, so far as I know, he never did. In Irving´s books Spain is frequently presented as a “romantic” country. He had not been the first writer of Romanticism to be attracted to Spain. Chateaubriand and Lord Byron had been there around 1806 and enriched with a deep emotional vision what had in previous centuries been mere curiosity for a country with such an eventful history, so beautifully evoked in the plays and novels of the Golden Age, when memories of the Moors and the battles of the Reconquista were still recent. After Irving, many were the travellers who came to Spain: Victor Hugo, Théophile Gautier, Alexander Dumas and Prosper Merimée are the best known among the French, who seemed to enjoy travelling South to meet the mysterious Orient close by, without having to endure long journeys. They all fell in in love with the beauties of Andalusia, creating a rather artificial picture of Spain as an exotic country full of mystery. Something which she certainly is but which, further to the treasures of culture left as heritage of the Arabs, the country contains a much greater variety than just that. A curious traveller who wrote on Spain from many angles was no writer or orientalist, but an employee of the Biblical Society of London: George Borrow (1803-1881). After converting from atheism to active Protestantism, this peculiar linguist went to Spain with a mission: to spread the knowledge of the Sacred Scriptures without the interpretations which the Catholic Church usually added to the text. He left Spain after living the most incredible adventures imaginable in his dealings with the people, the government and the clergy. He left his memoirs in a delightful volume, The Bible in Spain (1847), which was very appreciative of some virtues of the Spaniards that are not so well known in Europe. One exception in this general Oriental enchantment is worth mentioning: George Sand. The French writer, whose real name was Aurore Dupin (1804-1876), was not happy in Spain. In her book, A Winter in Majorca, she complained bitterly about the people, the insecurity and the general backwardness of the island. She travelled there with Frederick Chopin in the winter of 1838-39, looking for new airs that could help him with his poor health. She expected Parisian luxury and mild weather in the beautiful island only to find humidity and cold and all the inconveniences of a country in the middle of a civil war (the first Carlist war, 1833-1840). One can understand other reasons for her bad feelings: her love affair with the famous composer was not succeeding and she was a difficult lady all the same. Russian writer Ivan Turgenev, who knew her well, wrote: “What a brave man she was…!” And what a contrast with the patriarch of the lovers of Spain, François- René Vicomte de Chateaubriand! He loved Spain so much that in 1823 he proposed to his king Louis XVIII to undertake the latest French invasion of the country, with an army of 100,000 “Sons of Saint Louis”. Back in 1807, he had broken off relations with his formerly much admired Emperor Napoleon I and momentarily ended his political career as ambassador to several European courts. He began travelling From Paris to Jerusalem and had a final stop at Granada. According to gossip, he had started a very passionate love affair (one of so many!) with a lady, Natalie de Noailles, whom he had given a “rendez-vous” at the Alhambra. She didn’t turn up at the appointed time but the disappointed lover took advantage of his quick visit to Grenada and wrote one of his most beautiful novels, conceived in a light and simple style, a great pleasure to read. Adventures of the last of the Abencerrajes is a romance full of the required oriental exoticism mixed with nostalgia of the European values of ancient chivalry. A pure love between a Christian girl and a Muslim man ends in tragedy due to the difference of religious creeds and the acute historical resentments alive since the fall of Granada. Blanca, the Christian girl, faithfully mirrors, according to contemporary witnesses, Chateaubriand’s beloved Natalie. The book was written in 1809 but appeared only in 1826. The reason for such a long delay is easy to understand: it depicts the Spaniards in highly admiring colours at a time when, with the help of the British troops led by the Duke of Wellington, they were winning their war of Independence against Napoleon.